Bring a touch of classic style and elegance to your home with expertly crafted Andersen French doors from Renewal by Andersen of New Jersey-New York Metro. These beautiful doors will quickly become the visual focal point of any room in which they are installed, while boosting the energy efficiency of your home in Hillsborough and the surrounding areas. Andersen Hinged French Doors– This take on a traditional French patio door is designed to swing both inward and outward for easy access to your exterior patio and increased energy efficiency. Both styles of Andersen French doors utilize Fibrex ® material, which offers the strength and insulating value of wood with the low maintenance features of vinyl. 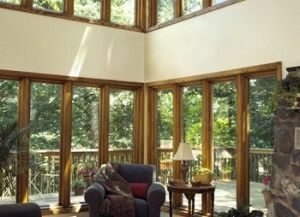 The glass panels are either High Performance™ Low-E4® glass or High Performance™ Low-E4® SmartSun™ glass, both of which help you save money on your monthly energy bills. 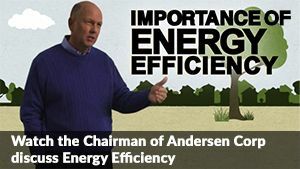 Renewal by Andersen offers one of the strongest window and door replacement limited warranties you will ever find. * These warranties will apply to your French doors when you turn to Renewal by Andersen of New Jersey-New York Metro. To learn more about French patio doors, give us a call at (908) 497-1020. You can also or fill out our convenient online request an estimate form to schedule a free in-home estimate in New Jersey and New York.